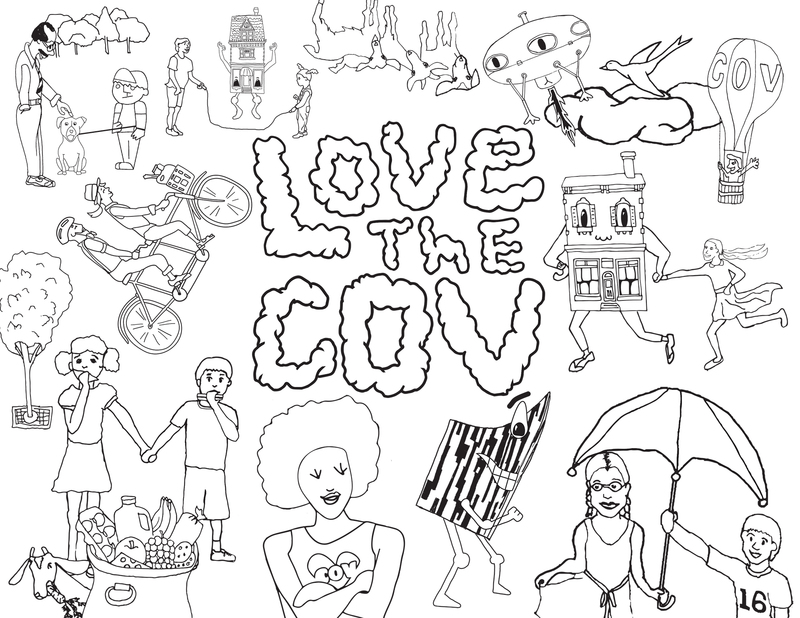 The "LOVE THE COV" mural was initially created to help Kroger reinvigorate their Covington location utilizing a design strategy and curated art experience. 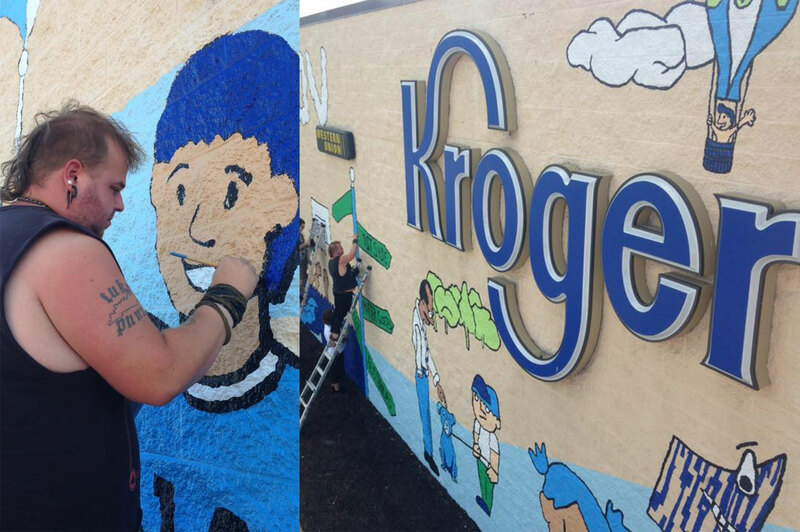 The Kroger Company was looking for an innovative process to connect with communities and reimagine the exterior shopping experience for urban locations across the country. The process needed to engage specific categories of stakeholders, achieve scale and reflect various regional geographies of the corporation. The final size of the mural was 24' high by over 220' long. 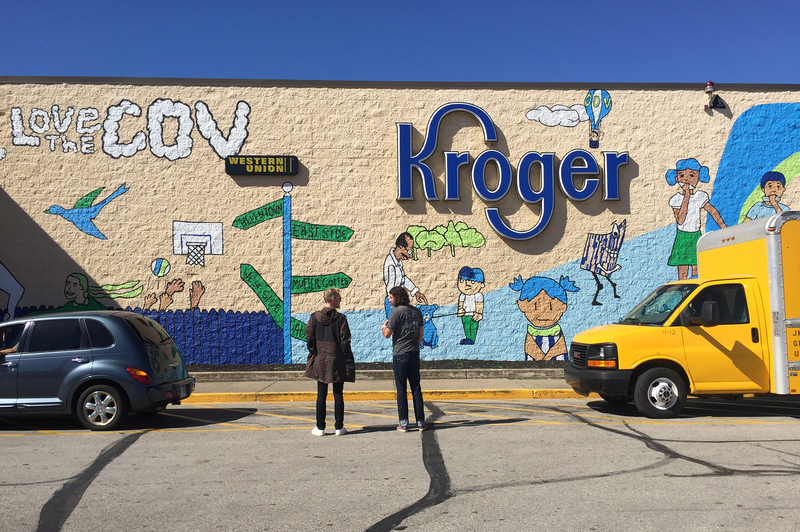 BLDG developed an in-depth engagement process to determine community-driven insights and design relevant mural concepts for the exterior of the Madison Avenue Kroger in Covington, KY. The final result was a mural wrapping around the entire façade of the store which celebrates the diversity and reflects the rich history of the surrounding neighborhoods.